Never have more trading-account owners owed so much money, and never have they had such a low level of available funds from which further to draw. The Dow's annual dividend payout has been less than 3% for 235 out of the past 246 months. Prior to the bull market that started in 1982, the longest duration under 3% was just one month, at the top in 1929. The percentage of cash in mutual funds has been below 4% for all but one of the past 70 months (a period of nearly six years). Prior to this time, the longest such duration was only nine months, a streak that ended in October 2007. 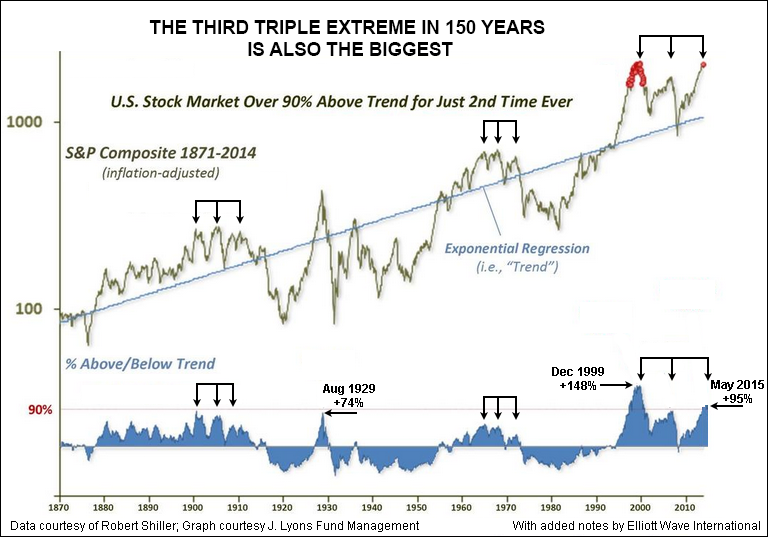 Previous triple manias occurred in 1901/1906/1909 and 1965/1968/1972, and both led to severe bear markets. This one is even bigger and has lasted longer. Such a thing has never occurred before -- one year, maybe, but not six. 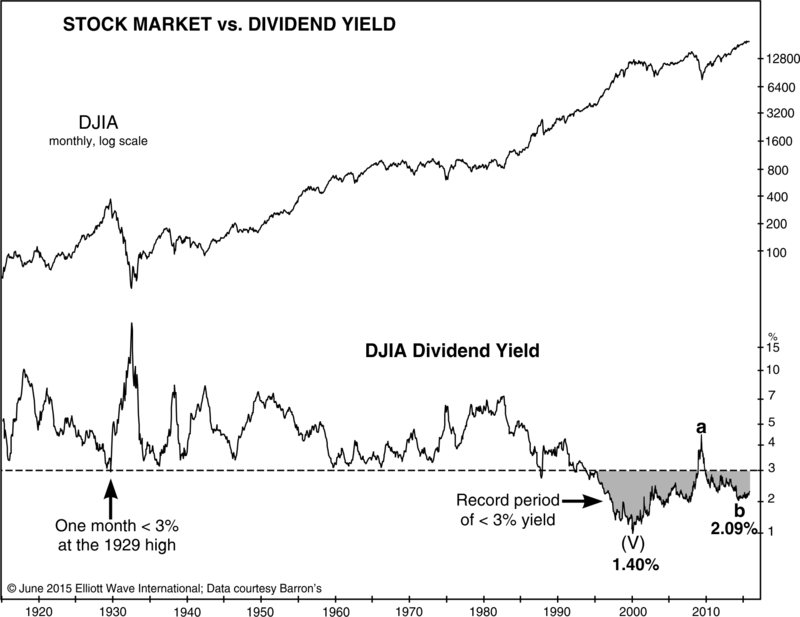 Today something amazing happened: The Dow Transports closed at a 6-month low on the same day that the S&P 500 made an all-time intraday high. I doubt this has ever happened before. The Dow Theory non-confirmation between the Dow Industrials and Transports is now [more than] six months old. This big a divergence, for this long a time, is very bearish.